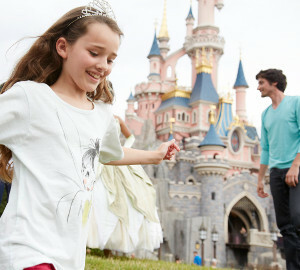 KidStart Magazine > Family Life > Occasions > It’s the 25th Anniversary of Disneyland Paris – Time to Sparkle! 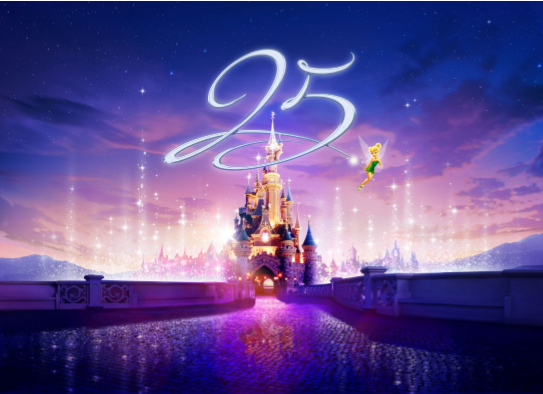 It’s the 25th Anniversary of Disneyland Paris – Time to Sparkle! This year Disneyland Paris will be full of magic and sparkles. Are you ready to celebrate the 25th Anniversary with Disney Characters and new attractions? What do Mickey Mouse and his Friends hope to achieve during these Anniversary celebrations? To dazzle all guests with amazement! From 26th March 2017, Disneyland will be filled with sensational new attractions, a grand celebration with the beloved Disney Characters, a brand new Parade and a breathtaking new night time spectacular. Join the celebration with a multitude of new shows from morning through to night, and remember you can get up to 3.5% back for your kids when booking through KidStart. The new attraction will take guests on an all-new, action packed intergalactic voyage, all in 3D. Based on the Star Wars ﬁlms, Star Tours will take Guests to multiple Star Wars destinations where they will interact with characters from throughout the Saga. Every destination will offer unique surprises with journeys through the worlds of Jakku, Hoth, Tatooine, the Death Star and more! The Force will be strong with this attraction, which hurtles through the Star Wars galaxy, following the twists and turns of TIE ﬁghters and an intimidating Star Destroyer. Where favourite Disney Stars, together with stunning new ﬂoats, create magic and happiness for all. Guests will also be able to discover a new daily show where Mickey presents at Disneyland Park where Mickey Mouse will start the celebration by assembling as many of his famous Friends as possible for a huge anniversary party. Fans of the Disney Princesses will be able to witness some of their most beloved Princesses as they host their own sparkling show. This new show, with dazzling lights, projections and breath-taking special effects will be conducted by Mickey Mouse onto Sleeping Beauty Castle. It will transport you to a location where the stories of Disney’s The Little Mermais, Frozen and Beauty and the Beast, Star Wars and Pirates of the Caribbean will come to life. 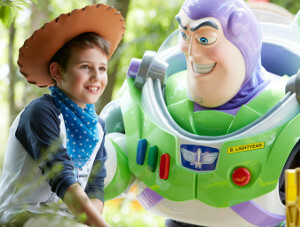 Book your DisneyLand Paris trip and get up to 3.5% back for your little ones with KidStart.